Grouse Ridge Solar Model – Explore a scale model of the solar system! The Grouse Ridge Solar Model is a scale model of our Solar System, suitable for exploration by school groups, Geocachers, hikers, and adventurers of all kind. The Grouse Ridge Solar Model is a different way to enjoy the outdoors, combining the famous “Geocaching” adventure game, with an entertaining science exhibit . Why the need for a scale model? Exactly how far is that, in practical terms? Well, at the speed of light, that’s about 8 minutes away. But for those of us who are made of atoms, traveling such a distance would take much, much longer. Consider a Boeing 747, which can fly from San Francisco to New York in about 6 hours. 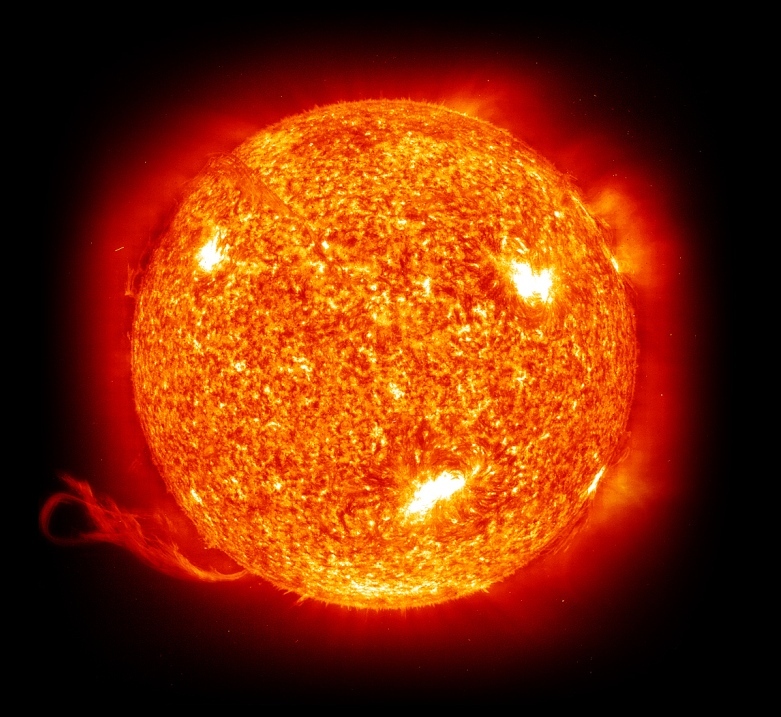 If you could get on an airliner and fly to the sun, at the typical cruising speed of 570 miles per hour, the trip would take you a little more than 163,000 hours – that’s about 6,800 days! Fortunately, you who are reading this do not have to embark on an 18 year flight just to get a good look at the sun. It so happens that, if you shrink the earth down to the size of a tennis ball, the walk to the sun is only about 1,400 feet! 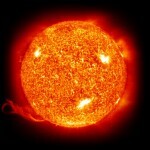 At that scale, the sun would be about 15 feet in diameter. By a funny coincidence, that happens to be about the size of a Forestry Service lookout building. The Grouse Ridge Solar Model is a scale model of our Solar System, situated in Grouse Ridge Campground, Emigrant Gap, Cisco Grove, Big Bend, and Baxter, California, USA. In this model, Sol is represented by the old Forestry Lookout building at Grouse Ridge. The planets are implemented as “Geocaches,” positioned at their respective scale orbits – but all having a clear view of Sol. While the inner planets are all fairly close to the Grouse Ridge Lookout, the distances to the outer planets are much greater. The furthest is the tiny planet Pluto: at only 0.28 inches in diameter, it is nearly 12 miles from the sun – which is visible as a small bump on a distant mountain peak! This scale model is presented to give the viewer a solid conceptual idea of exactly how big our tiny little patch of the universe is. If you visit only one planet, visit Earth! The Geocache of Earth has its moon tethered to it on a string, and the dimensions are a bit of a surprise to most people. For a really good time, try this: Have someone hold up the moon at the end of its string, and you hold Earth next to your head. If you move around a bit, you will find that you can “eclipse” the Lookout, just as the real moon does the real sun. Very thorough and visitor friendly. I am looking forward to experiencing this site with my students at iLearn Academy.